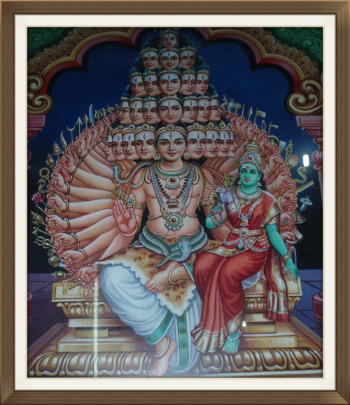 There are several versions of the Shiva Sahasranaamam out of which the one that occurs in the Mahabharatha is the most popular. After having heard the Vishnu Sahasranaamam, Yudhishthira asks his grandsire, Bheeshma, to also teach him the Shiva Sahasranaamam. The grandsire expresses his ignorance to do so and points him over to Lord Shri Krishna who is also nearby. The Shiva Sahasranaamam is then said to have been sung in its entirety by Shri Krishna himself.